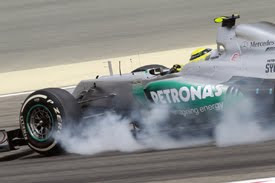 The opening weekend of the 2012 Formula 1 season was slightly tainted with the whispering of protests from within the teams due to Mercedes GP's innovation of the year. The German manufacture have been able to find a gap between the rules which allows the "super f-duct" to be legal, but despite this certain rivals feel it is both illegal and unsporting. Despite this apparent discomfort from the legality of the design both Lotus Renault & Red Bull decided not to protest the result of qualifying & the race in Melbourne. 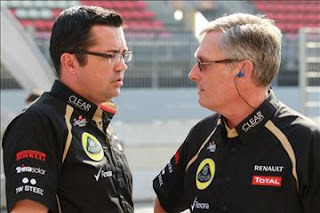 Team principle Eric Boullier of Lotus Renault believed it would have been wrong for teams to ruin the beginning of the season with protests and wish to settle this matter behind closed doors. "It would have been the wrong thing to spoil the race result to be honest, so the plan is to wait for next week. Let's see what happens." "We are still talking with Charlie, of course we did not do anything here [in Australia], but we just want to have a fair understanding." 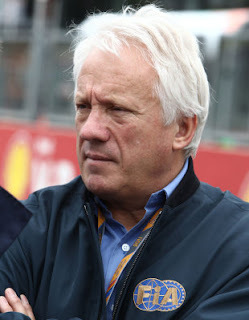 Red Bull Team Principle Christian Horner also added his unwilling to protest the opening the weekend of the season and stated like Eric Boullier he is still talking to Charlie Whiting . 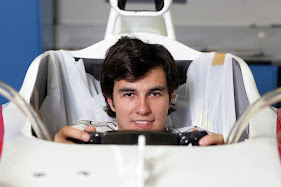 "I think that there are different interpretations of the rear wing of the Mercedes. We have had some discussions with Charlie, and we chose not to protest it this weekend." Technical Insight - How The "Super F-Duct" Works. 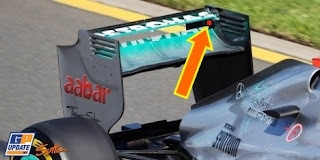 The well discussed Mercedes super -f-duct is a ingenious idea which cleverly - according to the FIA - slides totally within the rules of the 2012 Formula 1 season. 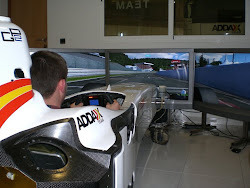 The actual benefits of the design are only felt when the drag reduction system (DRS) is activated. This is why many Mercedes GP fans would have been disappointed on Sunday morning, this is because the team will only truly feel the benefit on all the other weekends sessions where DRS is allowed whenever the driver wishes (as long as the track is dry). 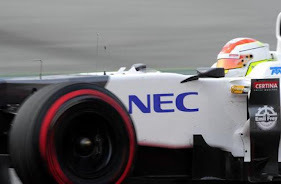 The design of the super f-duct means when the DRS is activated, slots on both end plates of the rear wing are exposed. The exposed slots then channel air from the rear wing down to the main plane. This creates a larger amount of rear end grip & a higher top speed when the DRS is in use. This was shown in Australia when the drivers activated the DRS through the speed traps, but this is also where it gets controversial. At the beginning of the 2011 Formula 1 season the teams were strictly told there are to be no driver activated devices apart from DRS/KERS and this is why both Lotus Renault & Red Bull are threatening protesting results until it is clarified. Whats you view on this story? Let me know via a comment of Tweet me though the link below.